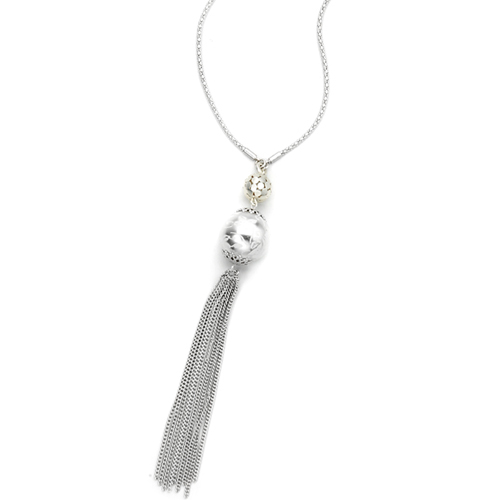 Add a little bling to your wardrobe with our bead and tassle pendant in white on a long silver chain. A white damask bead and silver ornate bead are finished with a silver chain tassle which hangs from the long chain to create a statement necklace. Paired with a casual hipster look or smart structured shift dress this decorative pendant will add an air of fun and sophistication to your look. Why not add a statement bracelet from our jewellery collection too? 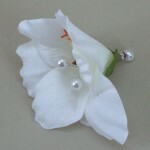 Dimensions other: Length approx 60cm with 7cm extension.